Due to our enormous acquaintance of this realm, we are capable to render FRP Grating Moulding Service to our valued customers. Due to their reliability, timely completion and flexibility, this service is enormously admired and praised in the market. 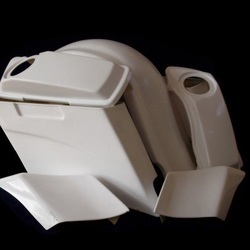 a fully equipped pattern and mould making shop and a full-fledged tool room which designs and manufactures tooling required for bus body manufacturing.